What a month February has been! Hopefully everyone's bodies are well and truly starting to settle back into their full-time routine now and let go of the customary post-holiday stiffness. However as the year starts to ramp up (and with Valentine's Day just behind us), now is the perfect time to give your body a little *extra* love with some veggie-packed goodness to keep you powering through those busy schedules! 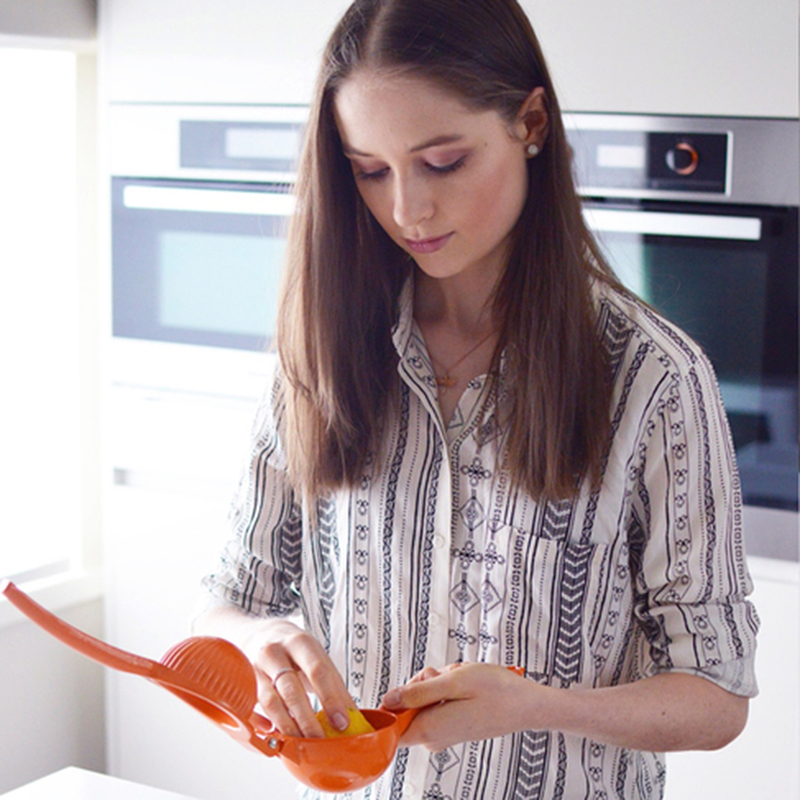 And what better way to do it than with this irresistibly tasty Risotto recipe from our favourite foodie ballerina-come-blogger Ballerina Bites (aka. Alexandra McMaster). Treat yourself! This recipe is by no means a traditional risotto; however the final dish resembles something just as comforting as the traditional version, without the need to slave over the cooktop for hours!! Win! My ‘Beetroot Hummus Risotto’ begins with a base of beetroot hummus, which I simply stir through cooked brown rice. 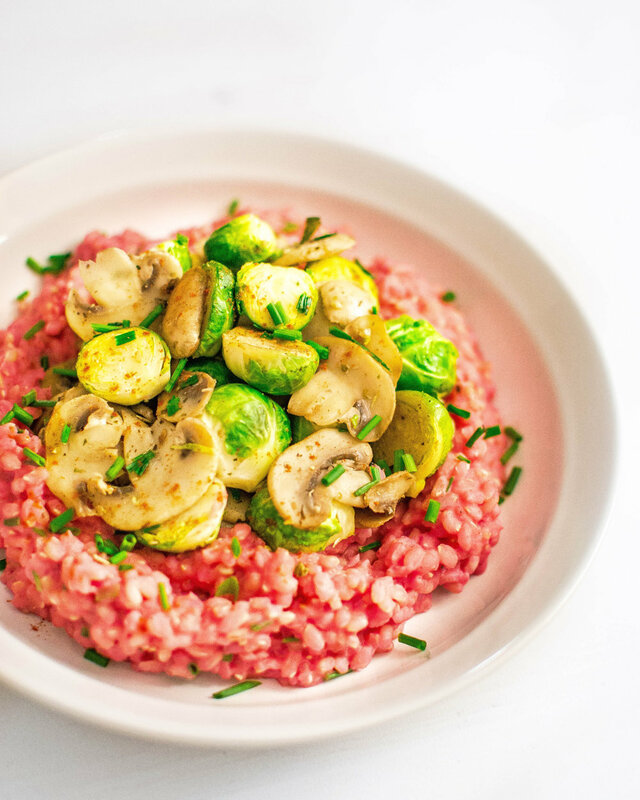 I then top the rice with herby sautéed mushrooms & brussel sprouts to add an extra serve of veg and an utterly delicious contrasting element to the dish. *Disclaimer: I also want to mention that despite what you hear, brussel sprouts can be delightful when seasoned and cooked correctly. I promise you by the end of this dish you’ll be looking forward to your next serve of the humble sprout. To a blender add all hummus ingredients and blend until smooth. Add rice and water to a small saucepan. Bring to a boil before covering, then reducing heat to low. Allow to cook for 20mins or until liquid has fully absorbed. Meanwhile add olive oil, mushrooms and brussel sprouts to a pan. Then stir through mixed herbs, ground caraway seeds and chives. Once rice is cooked add hummus and chives. Heat and stir before serving in your bowl along with the herby veggies. Finally sprinkle with nutritional yeast and a squeeze of fresh lemon juice. 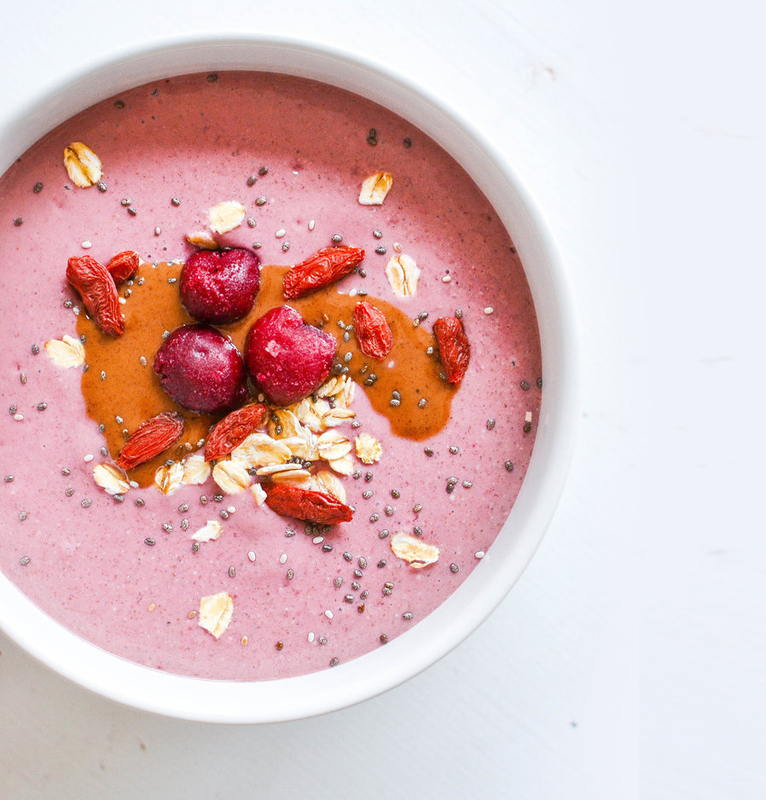 PS: Be sure to check out my last recipe Cherry Pie Smoothie Bowl, and tag me @ballerina_bites on Instagram so I can see your wonderful recreations! What is Barre class and why is it so beneficial to dancers (and everyone else)?